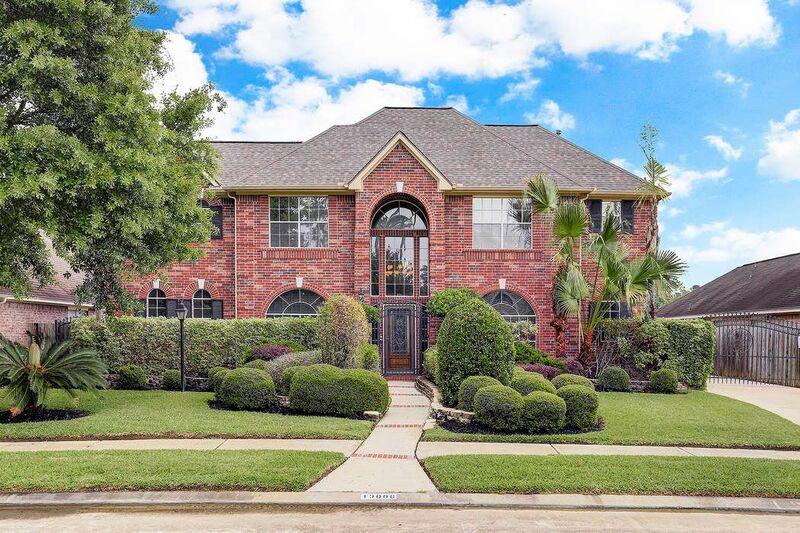 13006 Regency Oaks Lane, Cypress, TX 77429 | Martha Turner Sotheby's International Realty, Inc.
FRONT OF HOME - Street view. 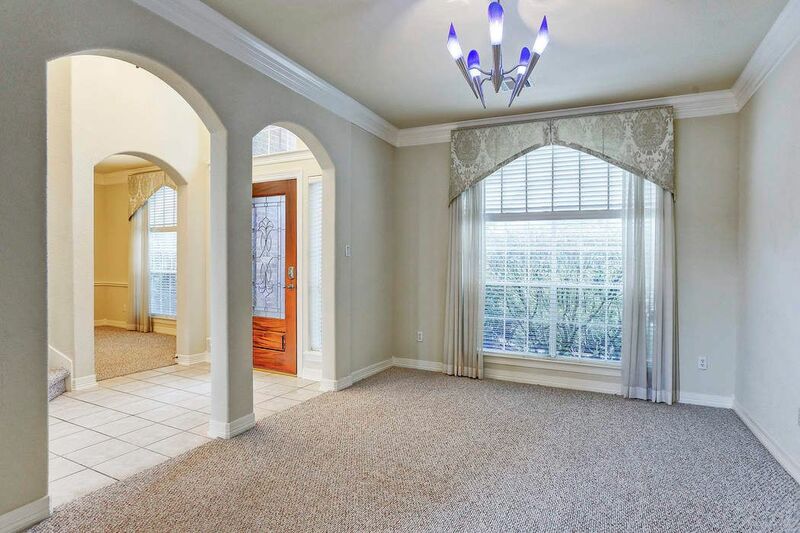 Stunning home with beautiful landscaping provides ample curb appeal. Security gate. FORMAL DINING - Large open dining area with large windows to provide natural lighting! 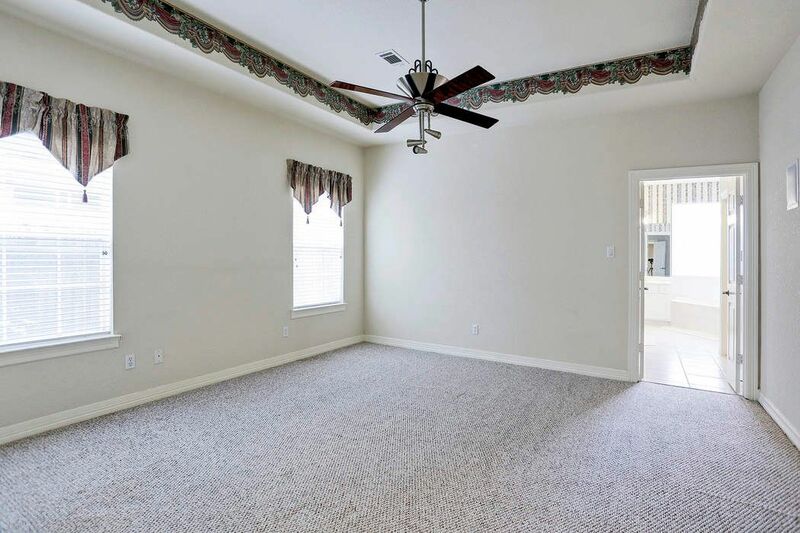 FORMAL LIVING AREA - Great sized space for a formal living, home office, or kids play room! 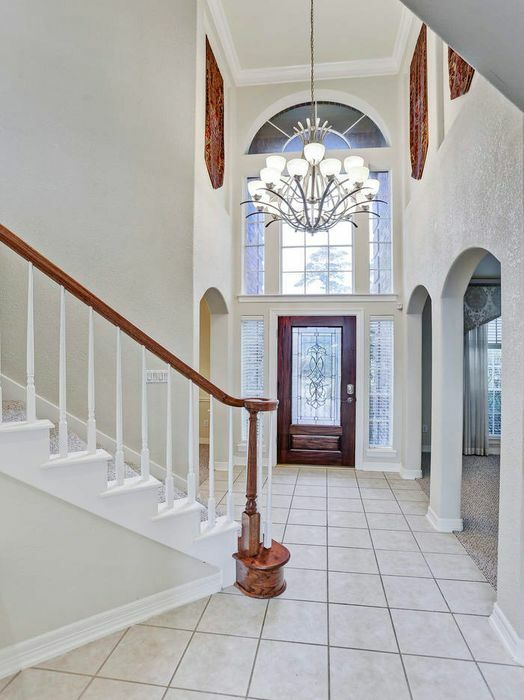 FOYER - A grand entry for a grand home! 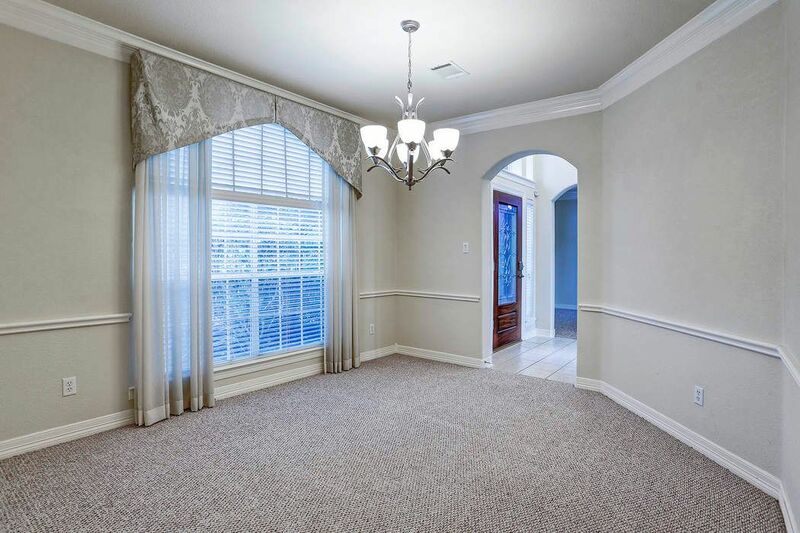 High ceilings and tile flooring. Well lit with large windows. Stunning fixtures. 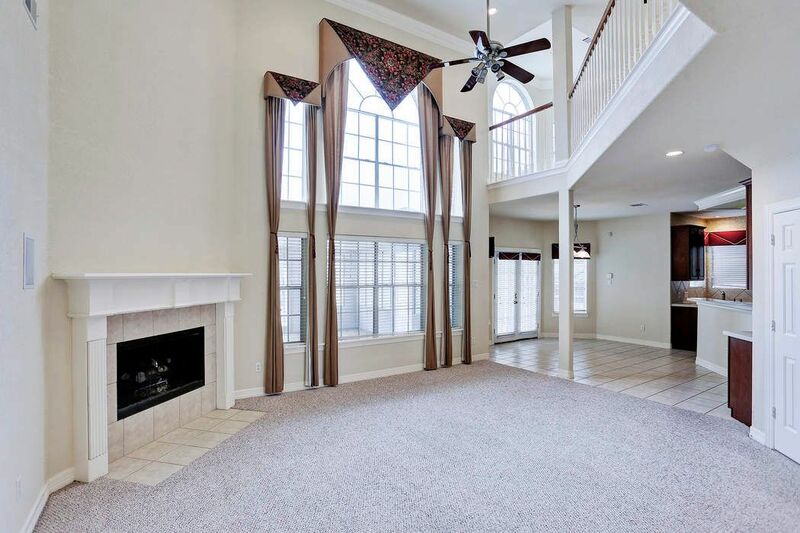 LIVING AREA - Vast ceilings in this large living area make you feel like your living in a castle! 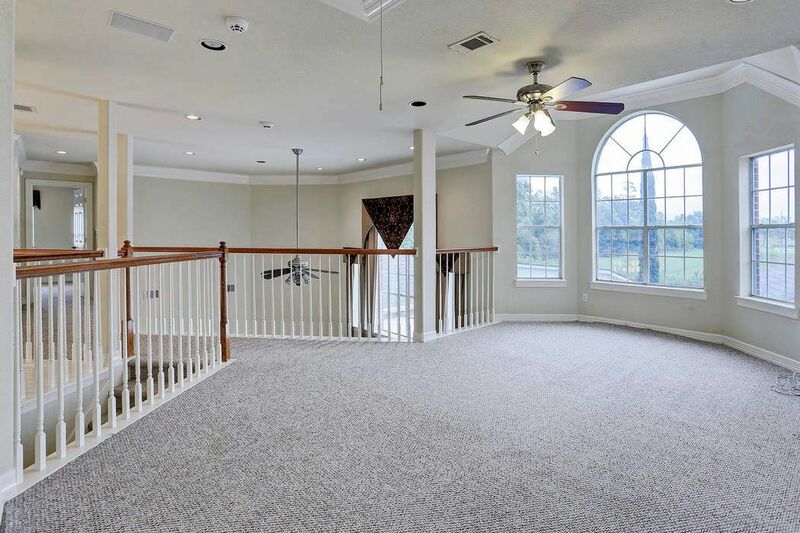 Great space for entertaining guests! BREAKFAST AREA - Enjoy your morning meal and coffee before work in this large and well lit breakfast area. 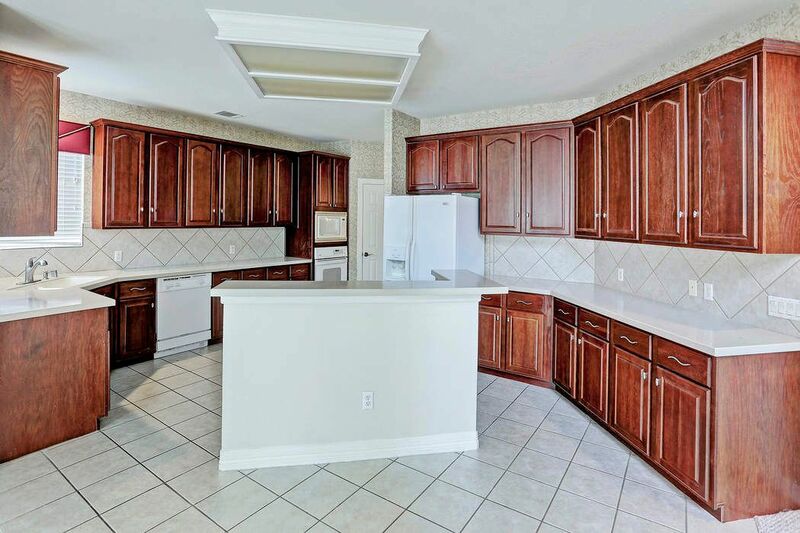 KTICHEN- Expansive kitchen with loads of cabinet and counter space. Ideal for the chef in the family! Open to living area. KITCHEN- Expansive kitchen with loads of cabinet and counter space. Ideal for the chef in the family! Open to living area. UPSTAIRS DEN -Large and open space upstairs provides a great area for a gameroom, den or many other things! Well lit with large windows and freshly cleaned carpet! UPSTAIRS DEN - Large and open space upstairs provides a great area for a gameroom, den or many other things! Well lit with large windows and freshly cleaned carpet! BEDROOM - One of four extra bedrooms. 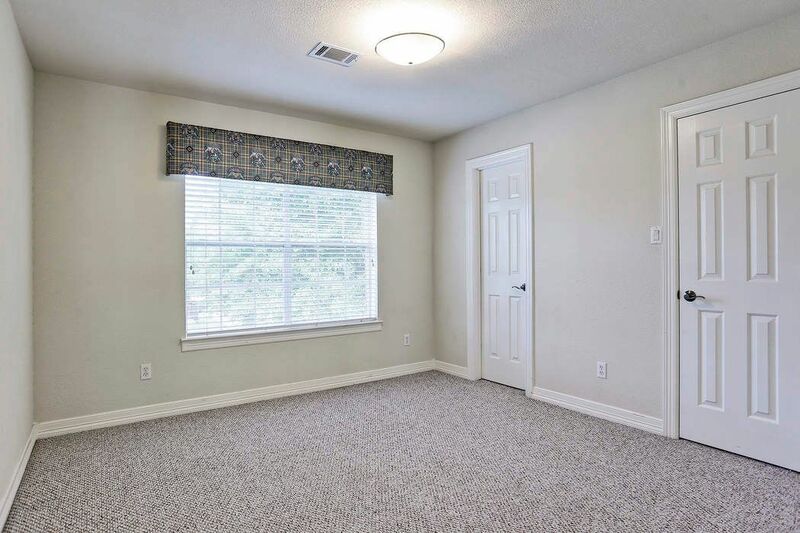 Large with ample closet space! MASTER BEDROOM - Huge master bedroom sure to make resting after a hard days work a breeze! Well lit and freshly cleaned carpet! 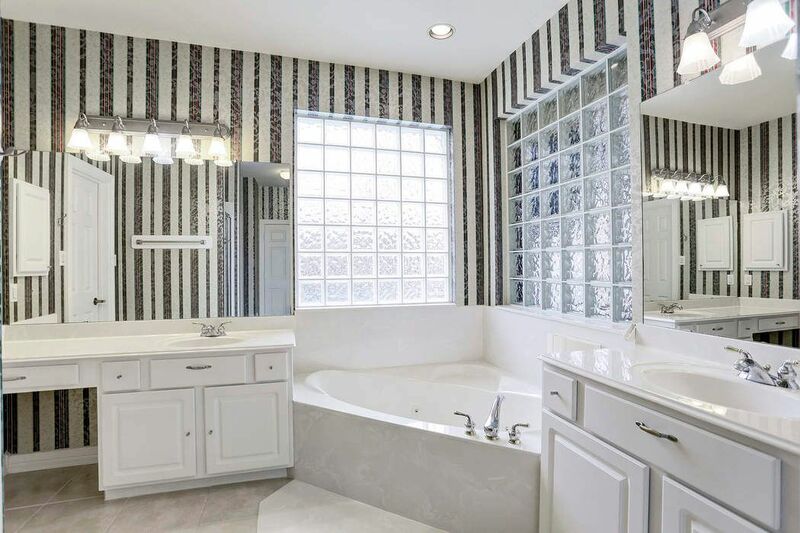 MASTER BATHROOM - Spacious master bath including a large soaking tub and double vanities! Great closet space! 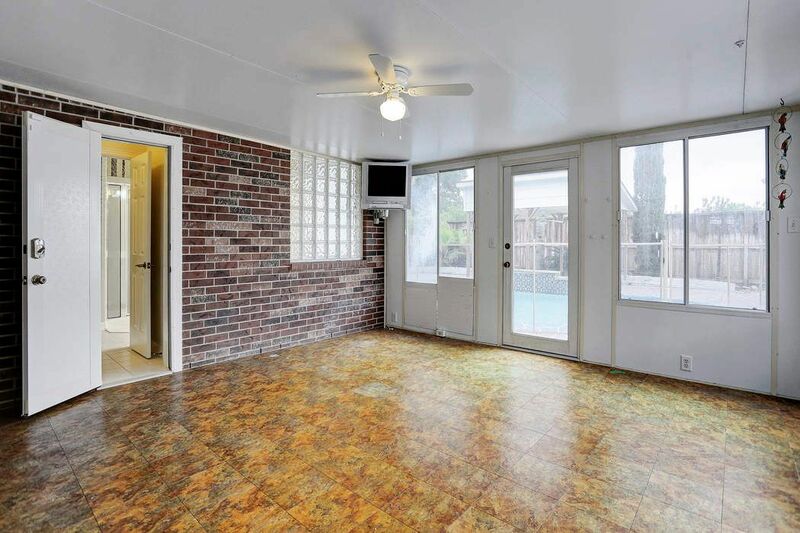 SUN ROOM - Great place to take in some much needed vitamin D! Great views of the backyard pool. BACKYARD/POOL - Take a look at this backyard oasis! 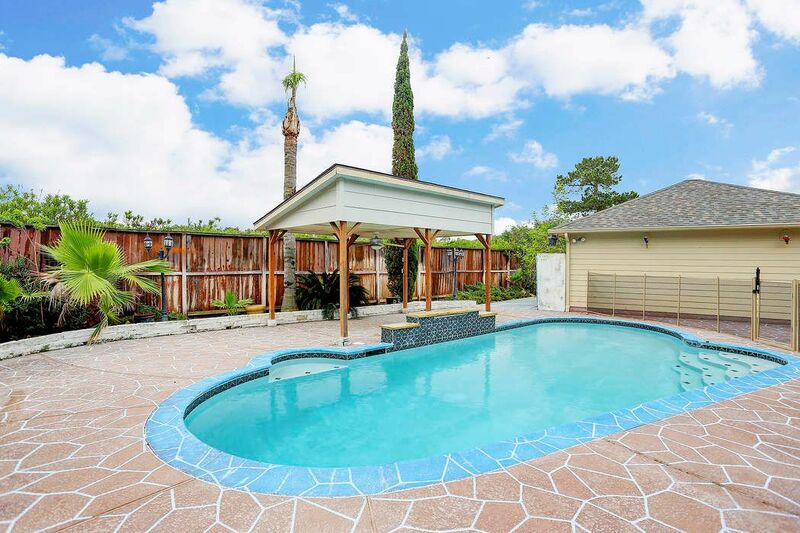 This pool is a must have in the hot Houston months! Great updates! Fenced pool area and covered patio! $299,900 5 Bedrooms4 Full Baths3,700 sq. ft. 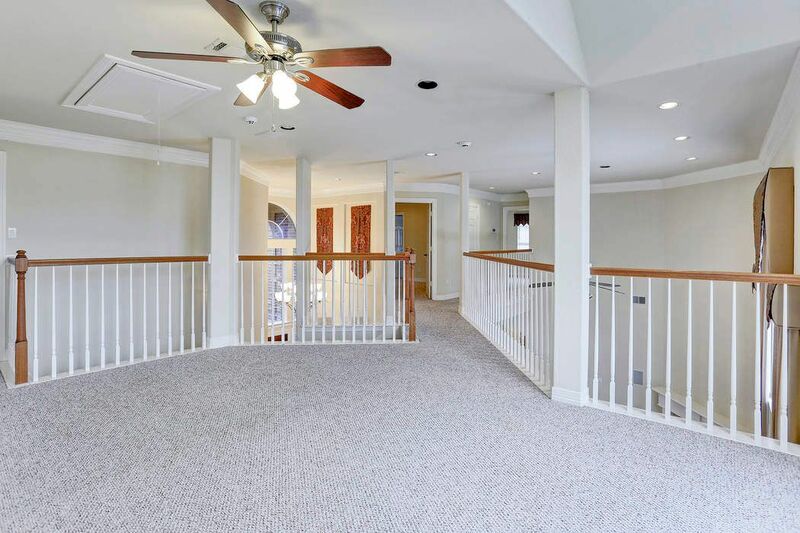 Stunning 2-story, all brick home on a great street. Extensive landscaping provides great curb appeal. 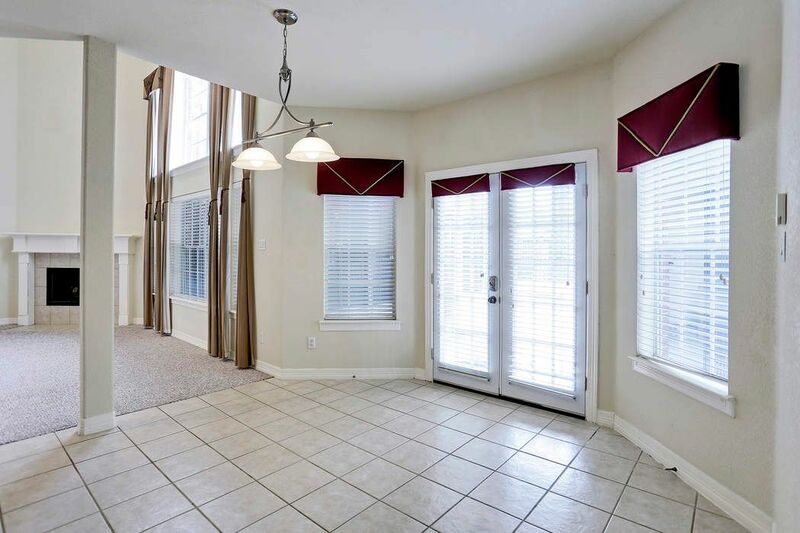 Well maintained, light, bright and open feeling. High ceilings throughout. 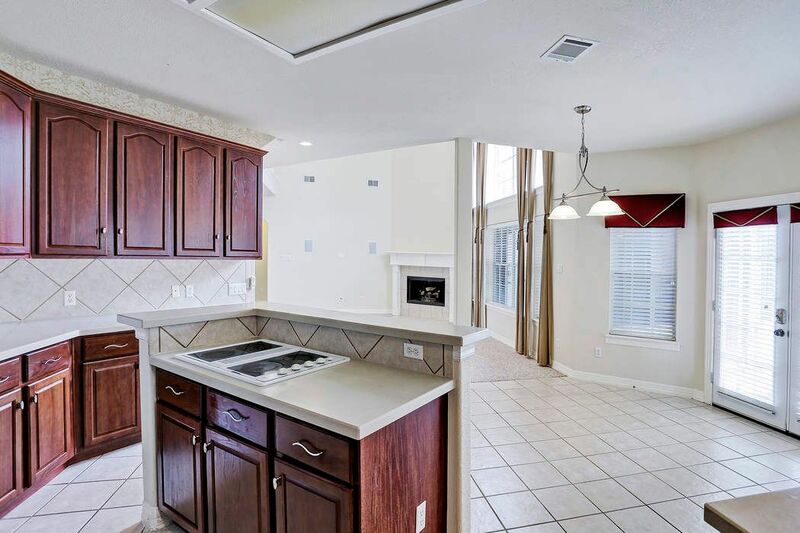 Spacious kitchen has tons of cabinets and solid surface countertops, and overlooks the family room. This unique floor plan offers both formals and two bedrooms down. 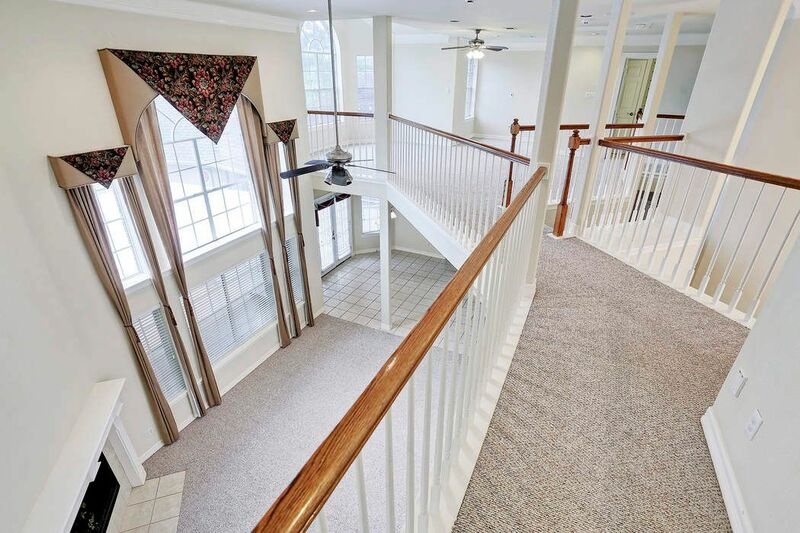 Upgrades include central vacuum system, crown molding, security gates and sprinkler system. Fabulous pool and backyard oasis.